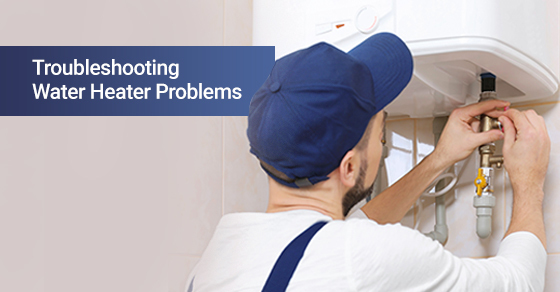 It can be frustrating when you experience water heater problems. There’s nothing that can make you feel like your day just got off on the wrong foot like a cold shower! Under certain circumstances, this is unavoidable, and you might need to call a professional to assess the situation and determine whether or not the water heater simply is in need of some maintenance and minor repairs. If the technician determines the repairs are too extensive, you may be heading towards the path leading to a water heater replacement. If you’re looking to be cost savvy, it might be wise to assess the situation and see if you can troubleshoot the water heater problems on your own. Never try troubleshooting issues with your water heater without turning off the power first. The most effective way to do this is by turning off the circuit breaker or the fuse that the water heater is connected to. Once you have the power turned off, you can now begin to inspect and troubleshoot as needed. If you are having issues with the temperature of your water, there are multiple possibilities. If there is suddenly no hot water at all, it might be an indication that there is an issue with the electrical supply. Since most electrical issues are difficult to pinpoint and diagnose, you will need to go through a process of elimination to discover where the issue lies. Possible electrical issues can be anything from a tripped circuit breaker to a blown fuse, right to the water heating element itself. If the temperature problem is that the water is heating but is not getting hot enough, the issue might be with the thermostat, a crossed connection, or a faulty heating element. You can check the thermostats to see if they are working. You should also check both the upper and lower heating elements for functionality. Finally, you can check for a crossed connection by turning off the water supply, turning on the hot water to check if it's running. If water comes out, there is likely a crossed connection. This can often be caused by a failing sacrificial anode rod. To test this, you can flush the water heater, treat the tank, and see if the smell or discoloration persists. If it does, you may need to change the rod. If this doesn’t solve the issue, then you likely have more rust or issues in your water heater and the heater itself might need to be replaced or professionally repaired. If you are in need of water heater repair or you are looking to replace your water heater, call Imagine Plumbing. Imagine Plumbing is home to leading plumbers in the industry. Call us today at 844-397-2588 or contact us here for more information.